Long struggling textile mill town, Biddeford (pop. 21,000), had come to be defined by the trash incinerator in the center of town. Heart & Soul showed leaders that there was strong support for tearing it down. They did, and that sparked revitalization. The project kicked off with a variety of engagement activities. The Salt Institute of Documentary Studies gathered community stories as a way to highlight what makes Biddeford unique and a city to celebrate. High school students gathered stories from their family members and peers. The project captured additional stories through “HeartSpots” where residents phoned in to record stories and memories related to specific downtown sites. As the Heart & Soul Team collected stories, it became clear that residents did not support the incinerator, even though shuttering it meant losing 80 jobs and revenue from the largest taxpayer. With community support behind them, the city council approved spending $6.7 million to buy the plant and tear it down in 2012. This potentially risky move turned out to be a catalyst for major change. Since that happened, as of early 2016, Biddeford had $90 million in new and approved projects in the pipeline. 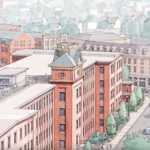 The 35-acre mill district is being redeveloped including a $50 million boutique hotel and $15 million in affordable housing. Vacancy on Main Street has dropped dramatically. The business and industrial park is nearly full. Today, Biddeford is young and hip, bucking population trends for the graying state. Median age is 34 compared to 45 for the state. 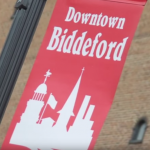 Biddeford’s new tag line reflects the pride the community has for its town: Biddeford, Leading the Way. Created in 2005, Heart of Biddeford is a non-profit organization affiliated with the national Main Street program and dedicated to revitalizing Biddeford as a Main Street community. HoB builds partnerships among Biddeford’s business community, property owners, residents, government, and service organizations, and helps the City’s downtown area become more of a destination. With a diverse board from the local community, Heart of Biddeford is well positioned to help unite the different sectors of Biddeford and build consensus on community development initiatives. 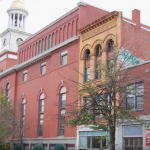 The City of Biddeford is governed by a mayor, city manager, and city council, but many of its activities are carried out or supported by the numerous active groups that operate within the City. Several city departments coordinate closely on development and planning initiatives, including offices of Community Development, Economic Development, Health and Welfare, and Planning. Sign up to receive the Orton Family Foundation’s newsletters, packed with actionable information, stories of successful communities, and helpful resources. Plus, be the first to know about our informative webinars and conference calls.